Take your time choosing from our incredible selection of products. Mulching is an eclogically sound technique for increasing plant health and d decreasing yard work. And very beneficial in that it helps the soil retain moisture, helps control weeds, and provides a finished an formal appearance. Mulch only needs to be applied about three or four inches thick which will then settle to a two-inch depth. Dark-colored mulch can warm soil in spring to help plants sprout sooner; light-colored mulch will keep soil cool in summer to reduce heat stress. Mulch reduces yard maintenance by suppressing weeds and helping keep soil moist, but it will last longer and perform better if it gets a little maintenance itself. 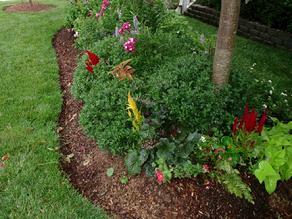 loosen mulch periodically to keep it from crusting and excluding rain. If weed seeds sprout or it becomes moldy, turn the mulch over. 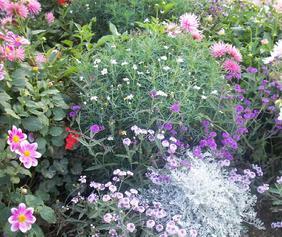 Mulch should be refreshed once or twice a year as needed.